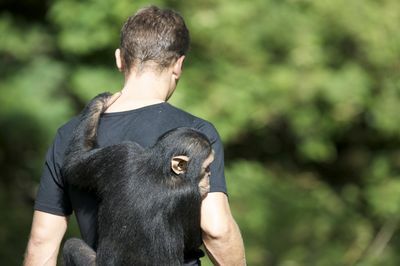 Brand new three-part series ‘Charles & Jessica’ details the lives of two very special chimps, who were maltreated by their owner and found in a state of neglect at a private zoo. 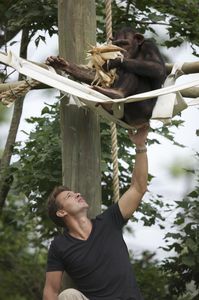 Follow Eugene Cussons, self-appointed chimp rescuer, who is enlisted to provide them with sanctuary at Chimp Eden. Charles and Jessica’s long journey to freedom begins as Eugene rescues them from their living hell. 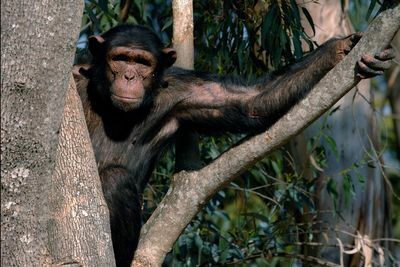 Both chimps face quarantine before they are allowed to join the other chimps, as they both build up their strength after a state of malnutrition. 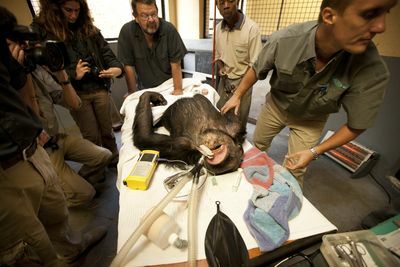 Jessica, weakened to skeletal proportions, finds new strength at the sanctuary and becomes dominant over her carers and her gentle new family. Against all expectations, Charles, once the biggest, baddest chimp in town, is totally intimidated and nearly killed by his new troop. Will Charles and Jessica survive their rocky road to recovery, and one day return to their natural home: the wild?